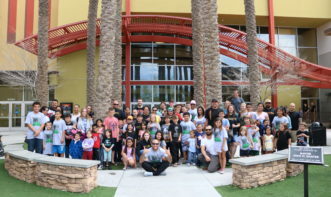 When you are looking for a great family activity, it is important to make sure you are choosing an activity that will entertain everyone of all ages. Great family activities are those that add to family fitness. Finding a sport that everyone can enjoy can be a difficult task at times. 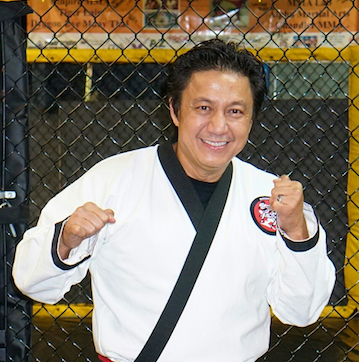 However, Martial arts are a great activity that can add to your family fitness. Here are nine reasons why this is the perfect family activity. 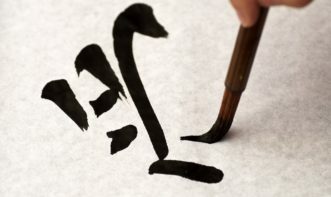 Advancing in martial arts, like karate and judo, is one of the best parts of going to lesson after lesson. 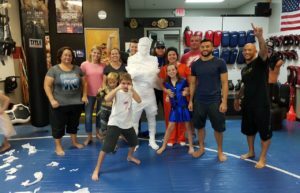 Getting all the way to black belt can take a very long time and getting new belts is a fun way to set goals with everyone in your family. This is what keeps families coming back class after class. Working towards physical goals leads to working on other important goals. Working on goals towards college, financial planning, and family readiness is much easier after you have already practiced setting goals before as a family. When families exercise together, they feel happier. It is proven in studies that exercise will release endorphins that make you much more upbeat and less depressed in your life. Attending classes regularly will allow your family to release these endorphins on a regular basis and raise the overall level of happiness in the home. Once you start exercising, it is easy to get addicted to other physical activities like swimming, hiking, baseball, and golf. When everyone in the home is working on a common goal, it is easy to find common ground. Having something each week to look forward to with your family is a great way to get everyone excited to spend time together. The car rides, long lessons, and practice sessions will help all of the members of your family spend more time together and bond. When everyone is trying to learn something together, the breakthroughs will create some amazing bonding time. Learning together as a family is one of the best ways to grow closer to one another. The world is a very competitive place. It is important to teach your children the importance of competition before they leave your home. 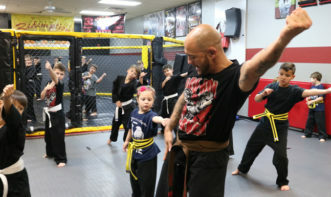 Classes and belt advancement is a fun way for siblings and parents to compete without the stakes being too high. Friendly competition can help bond your children closer together as well. They will learn to work with each other to achieve common goals that will help them to grow as individuals. While it is fun to hang out at home and watch movies every once in a while, engaging in family activities outside of the home are where you are going to create the most long lasting memories of all. When families engage in activities together, it is easier to create memories that will last a lifetime. Your children will look back fondly at their time spent at the school and remember it well into their adult years. Filming and taking photos of lessons and competitions can be a great way of remembering all of the fun family times that were had during these activities. When all of the members of your family start sharing their interests for the first time, it can be easy for individuals to propose the idea of trying out their hobby. It may turn out that your whole family would love skiing or going to the skatepark together. It is always a great idea to try out the hobbies and interests of your family members as an entire unit. This is a great way to bond and find new activities that everyone can enjoy together. Your family might discover that they are into creative endeavors as well like music or filmmaking. The world we live in is becoming more dangerous every day. It is important to teach your children the skills that they will need in order to protect themselves in this violent world. 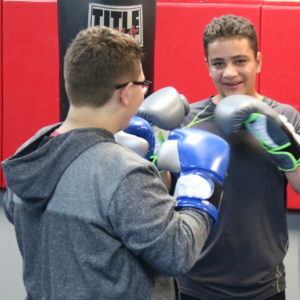 While the skills learned in these classes are never supposed to be used for bullying or intimidating others, they can be very important when any type of self-defense is needed. The better skilled your family becomes in these forms of self-defense, the more confident they will feel in the world. This level of safety is especially important when your family is traveling abroad. Again, while these skills should never be used for harming others, it is very important to be able to protect yourself in the event that someone is trying to harm you or your family. There are some sports that parents can’t have as much fun with as their children. Skateboarding, downhill biking, and wakeboarding are just a few examples of sports that might not be as fun for parents. However, anyone at any age can really start to enjoy learning the art of self-defense. It can be difficult for parents and children to understand each other. However, when regular activities are on the schedule, it gives family members the ability to get to know one another. Parent’s and children’s music can be shared and talked about in the car and deep conversations about important issues can happen as well. Getting on the same page as your children doesn’t have to be as difficult as it might seem. Taking a little bit of time to understand what your kids are into can go a long way. This time spent together will be a way to really get to understand the culture of your children.